A hardshell case for the Ibanez Xiphos Series of guitars, the Ibanez XP100C Electric Guitar Case was designed to protect your investment and fit the unique shape of your instrument. The XP100C Case Fits The Following Ibanez Models XPT700 XPT700XH XPT700FX Ibanez Guitar Cases Other cases may look like an Ibanez case. But if it doesn't say Ibanez, it isn't an Ibanez. 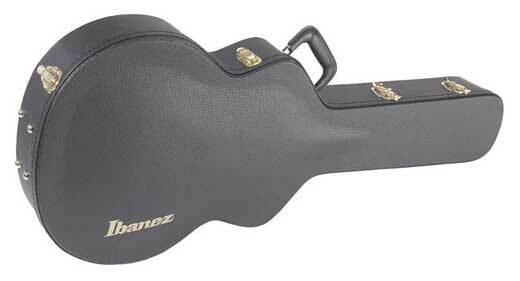 Only Ibanez cases are designed specifically to fit and protect your Ibanez guitar or bass. Accept no substitutes! Generic look alike cases designed to fit everything rarely fit anything right. Only Ibanez cases and bags are made to fit the unique shape of Ibanez guitars and basses. If it doesn't say Ibanez on the case, it isn't an Ibanez.